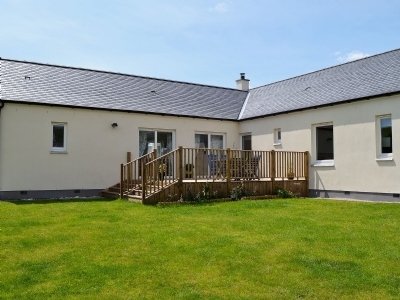 Bengali Holiday Cottage house was constructed in 2012 and is ideally located to discover Dumfries and Galloway. From streams to summits and forests and shores, Dumfries and Galloway has an abundance of unspoilt beautiful scenery. Bengali is in the heart of it all, only 15 minutes by car to beaches and forests and 10 minutes to the towns of Castle Douglas, the artist town of Kirkcudbright and the outdoor kids activity centre at Laggan. Both towns are home to castles and offer a great selection of local produce. 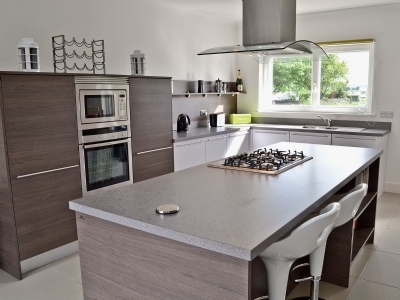 The house is situated in a quiet village located 5 miles from Castle Douglas offering views of hills and countryside. The house has been designed to reflect the traditional architecture of other houses found in the village, with a modern twist – there is red cedar cladding to prominent structural features. 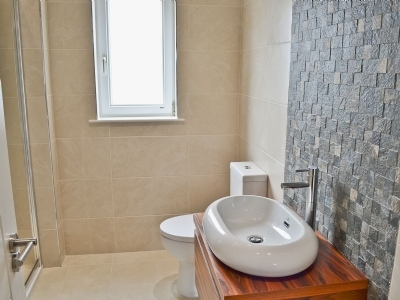 Internally, the house has been finished to a high standard with public large rooms. 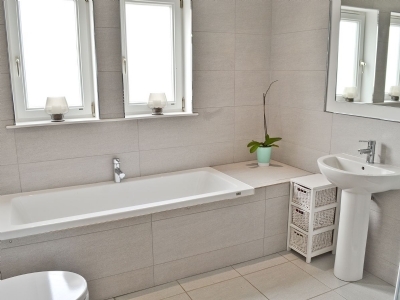 Underfloor heating throughout keeps the house at a comfortable temperature throughout the year and a log burner in the living room can be used for extra heat or just for some added character. 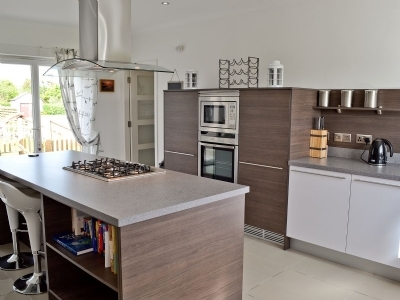 The Modern Kitchen, Bathrooms and all floor and wall tiling has been sourced from Porcelanosa, giving a feeling of luxury throughout the house. 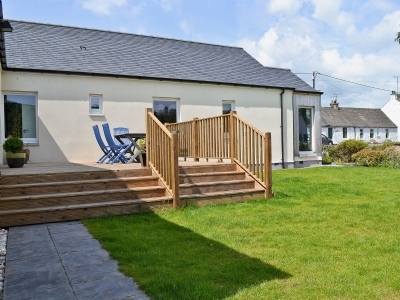 Bengali Holiday Cottage has a very large Modern Kitchen with seating for 8 around the dining table, a large kitchen island with breakfast bar – a great place to catch up after a day out – cooking the dinner can become a social activity. 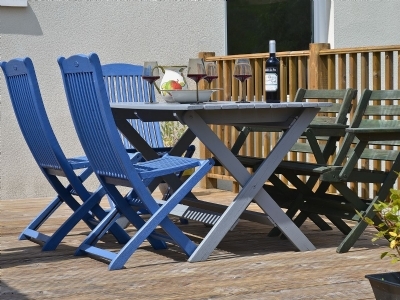 There is access from the kitchen directly onto a Raised Timber Deck to the rear garden with external dining and seating available. There is a utility room off the kitchen with space to hang up your coats and do washing if required. Access to the secure garage lets you bring your own bikes, fishing gear or anything else that you don’t want to bring into the house – you‘ll also find a second fridge freezer in here just in case you need extra room for those extra bottles of wine. 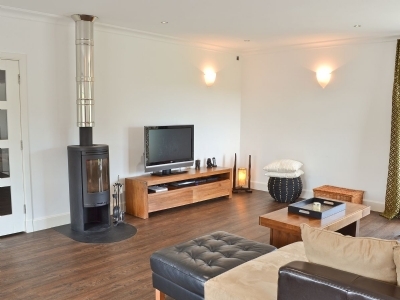 The Large Living Room has space to seat everyone and comes with a large Flatscreen TV, Log Burning Stove and extra large floor to ceiling windows to the rear offering views of the hills behind the house. The Living Room and Hall leading to the 4 bedrooms and Master Bathroom are floored with Karndean Designer flooring. 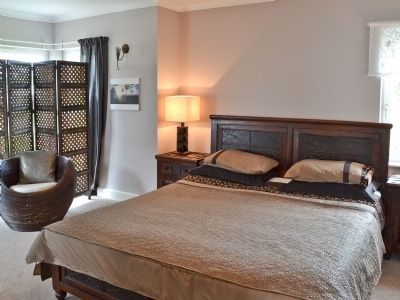 The Master Bedroom is a large luxurious room with Super King Size bed, walk in wardrobe and en-suite shower room. 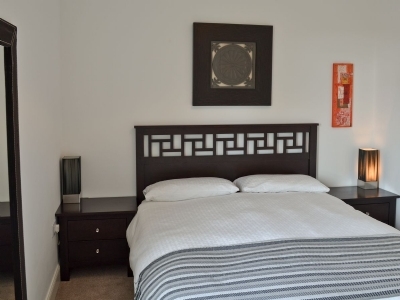 There is a double bedroom with ensuite shower room and 2 further bedrooms with twin single beds. The Master Bathroom offers a deep bath and separate walk in shower. 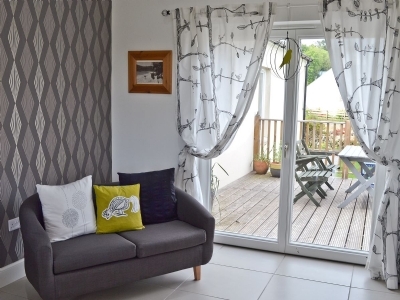 Mathew and Nicola built Bengali Holiday Cottage in 2012 and it is very much their home and still has some personal items on the wall which makes it a really homely place to stay. The house has a photo montage of the build. There are some of the kids paintings in the kitchen which have been framed. 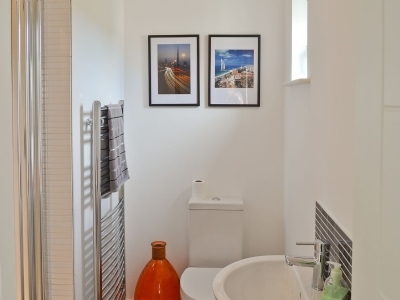 Other artwork and photos throughout the house reflect their life and journeys around the world, from their first house together in Glasgow, a scene from a beach in Fiji and our life in Dubai. 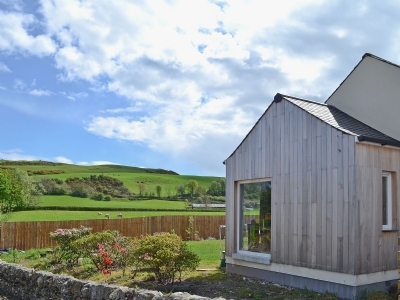 Escape to this luxury cottage in the forested uplands of Dumfries and Galloway.